This study has 11 sessions, incorporating an introductory session and 10 lessons. The Study Set includes the Study Guide by Clifford M. Yeary and the New Collegeville Bible Commentary, 'Genesis,' by Joan E. Cook (Liturgical Press). Joan E. Cook, SC, teaches Scripture at Georgetown University in Washington, DC. She is author of Hannah's Desire, God's Design (Sheffield Academic Press, 1999) and Hear, O Heavens and Listen, O Earth: An Introduction to the Prophets (Liturgical Press, 2006), which won a first-place Catholic Press Association award in 2007. Cook has also written numerous articles on biblical women and biblical prayer. Genesis tells the story of beginnings: God's creation of the world, the beginning of human activity and the beginning of God's redemptive covenant making with human beings (the stories of Abraham, Isaac, Jacob, and Joseph and his brothers). Without competing with modern scientific understandings, this study investigates two different accounts in Genesis of the creation of the world and how both reveal timeless truths about God's creative purposes. Stories of universal human sinfulness lead to a divine plan of redemption initiated in the call of Abraham and Sarah. 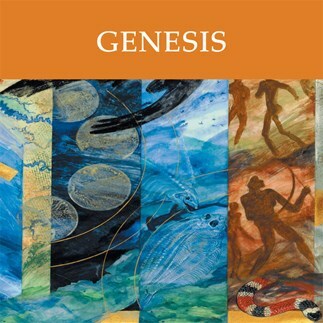 Through accounts both humorous and suspenseful of the lives of ancient Israel's patriarchs and matriarchs, Genesis lays the foundation for the epic story of the Exodus, the liberation of God's people from slavery in Egypt. These lectures correspond to the eleven sessions outlined in the Study Set for Genesis.